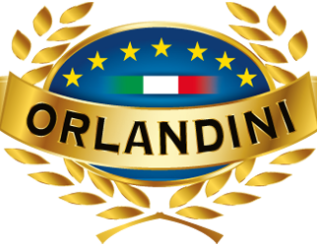 Orlandini directly produces and cures Prosciutto di Parma PDO. Prosciutto di Parma PDO (Parma ham) is the most famous deli meat in the world. It is obtained from the hind legs of pigs that have been i accurately selected and raised in the protected PDO area. It’s special features are: total absence of preservatives and high nutritional power.Manual processing,slow, controlled curing give this product its unique delicately savoury flavour. 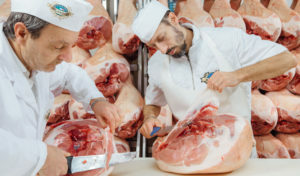 The raw pig legs are delivered and selected then knife trimming and salting are carried out by hand. They are left in a cold room for about a week, and then salted again. After two weeks the salt is removed, and the legs placed in a pre-resting cold room for three more weeks. They are then moved to the resting cold room, where they remain for about 100 days. After that, the hams are trimmed and washed. 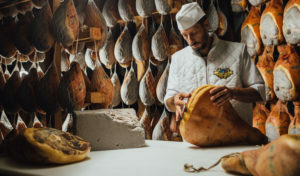 After approximately seven months, the lean part of the hams is sealed with a paste (sugna) and the hams are placed in curing rooms. After an accurate inspection by the Parma Quality Institute, the hams are selected for sale. 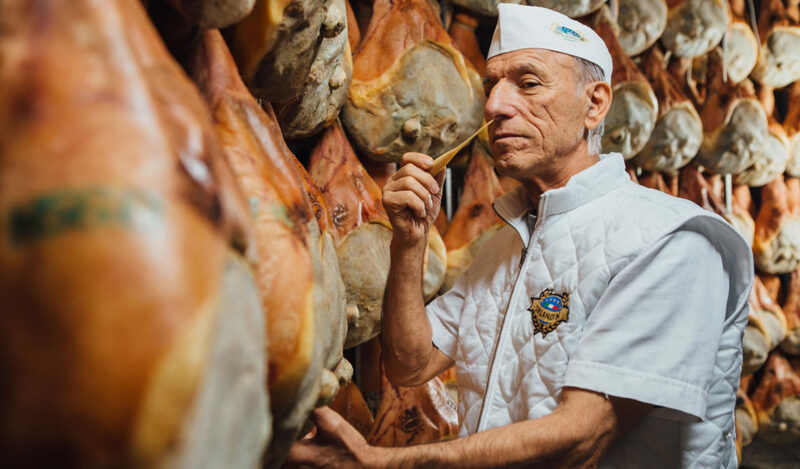 Goccia di Parma is carved from carefully selected hind legs of pigs.